Private investments and a favourable tariff scheme have been key drivers in the incredible growth of Turkey's geothermal sector, according to a specialist of the World Bank in discussions during the IGC Turkey geothermal conference last month. Turkey has shown an incredible growth of its geothermal power generation capacity. With an installed 30 MW of capacity in 2008, the country has as of today around 860 MW of installed capacity. During the recently concluded IGC Turkey geothermal conference in Izmir, Turkey – Thrainn Fridriksson, an energy specialists from the World Bank gave an interview to Anadolu Agency in Turkey. 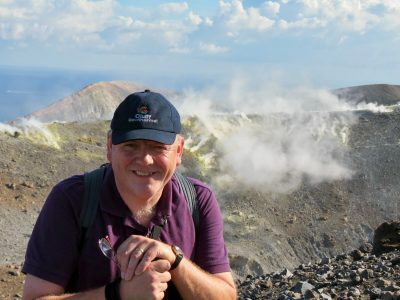 In the interview he describes that geothermal energy development relies on strong government support and that has been a success story in Turkey. “The key to the success of Turkey’s geothermal energy is through Turkey’s General Directorate of Mineral Research and Exploration (MTA) drilling activities of potential exploratory areas to minimize risks”, so Fridriksson. 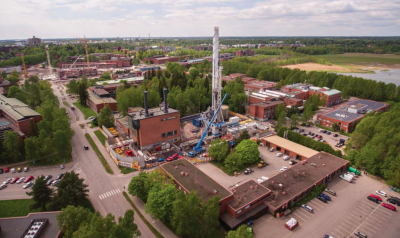 With that growth, the sector has attracted a interest from the global geothermal energy community. 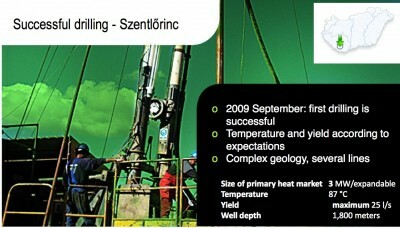 But, there are risks in geothermal development and that applies to Turkey as well. In Turkey though the government has been involved in the drilling to reduce investment risk for the private sector, unlike in other countries where that risk has to be carried solely by private investors. 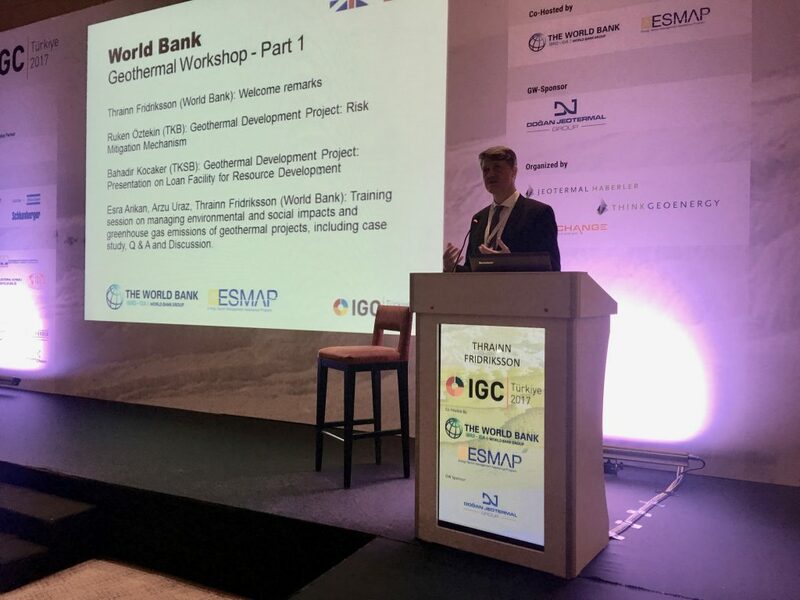 “In Turkey, the World Bank and the European Bank for Reconstruction and Development (EBRD) addressed Turkey’s financial needs for geothermal projects and the risks were reduced by governmental action. These are the keys to success,” he stated. In the article by Anadolu, I was also interviewed in my role for the International Geothermal Association. Describing the advantages of geothermal energy, I highlighted in particular the far-sighted policies by Turkey that support a steady supply of clean energy generation through national feed-in-tariff mechanism for geothermal that has helped create incentives for the renewable energy sector. “Tariffs can incentivize the geothermal industry not only because it is green but also because it can provide constant electricity. 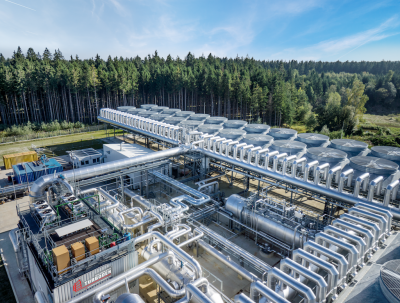 If a price is put on having fewer carbon emissions on a base load capacity, you can create that incentive for the industry, and therefore, the government has greatly supported geothermal with relatively high feed-in tariffs,” I underlined. For Turkey, the potential for geothermal energy goes beyond electricity generation and there are tremendous untapped opportunity for heat production. 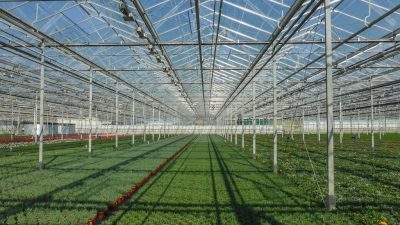 For the country’s tourism sector, geothermal energy could also provide great opportunities, as well as for the agriculture sector for greenhouse operations and for food drying.